If you’re a teacher, nurse, firefighter, military personnel or other qualifying public service professional, you may be able to get your federal direct loans forgiven. You’ll need to work full-time for the government or for a non-profit for at least 10 years to qualify. You may need to consolidate some of your loans, and all required paperwork. Since you must work in a qualifying field for some time, this is only an option if you already intend to work in public service. This is a repayment program instead of loan forgiveness. You will pay a part of your monthly income toward your college loans. 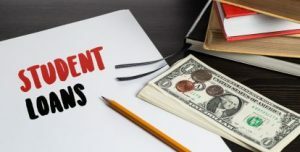 Depending on your plan, you’ll be forgiven the loan after you have steadily made the required payments for 20-25 years, depending on whether you choose Pay As You Earn, Income-Based Repayment, Income-Contingent Repayment or the Revised Pay As You Earn Plan. You’ll need to determine whether you qualify for any of these plans, but in general they’re designed for those borrowers who have large loans in ratio to their income. If you have a Stafford or Direct Loan and work as a teacher, you may have your loans forgiven, up to a maximum of $17,500. To qualify, you must have taken out your loans after October 1, 1998, you must work in low-income high schools or elementary schools and you must work as a teacher for five consecutive years. If you plan on working in low-income schools and have smaller loans, this plan might work for you. As a teacher, you may also be able to get Public Service Loan Forgiveness. This is an option to consider if you’ll be working in private or higher-income schools or have larger loans. With a federal Perkins loan, you can have the full amount of your balance forgiven if you work in a public service job for five years or more. You may qualify if you work in positions such as public defender, firefighter, nurse, school librarian, teacher, police officer or other qualifying positions. Your loan will be forgiven a specific percentage amount for every year you work in a qualifying position. If you’re applying for this program as a teacher, your qualifying work must involve teaching in qualifying subjects such as special education, foreign languages, science or math and you must teach at low-income schools. If you qualify, ask for an application at your school’s financial aid office. If you’re still in college or are just looking forward to applying, there are steps you can take now to keep costs low. Start applying for scholarships, start saving for college and use the Money Help Center net cost of college calculator to plan for the cost of your education. what about private loans?? they are killing my children’s future. both have doctorate degrees and still can’t afford the payments. what happened in our society and what can we do about it? @Amy. Have them fill out the ‘revised pay-as-you-earn’ repayment plan. Will significantly reduce their payment. If Obummer did one thing right, it was that. It is a crime that so many people’s lives have to be financially ruined in order to get an education in America. I don’t understand why a country would make it so difficult. Without an educated population we don’t progress as individuals, communities &/or a society. The long term implications are frightening. I realize that people need to take out student loans, tuition is skyrocketing, but it is a fact that people today think they shouldn’t have to give anything up to go to school. If they didn’t live like they already had great paying jobs, and scrimped and went without, the way people did 40 years ago, they would not be in near as much debt.